The energy meter is used for production, consumption or import/export monitoring, and for export limitation. Environmental sensors are used to monitor a site’s irradiance, temperature, and wind velocity, and to calculate site performance ratio (PR). 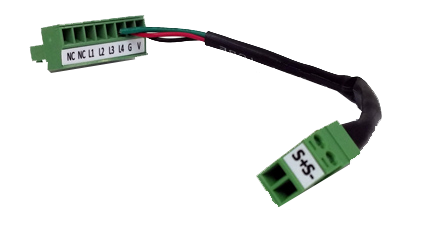 Current transformers (CTs) provide a simple, inexpensive, and accurate means of measuring current flow in SolarEdge energy meters with Modbus connection. When ordering an energy meter, order a compatible current transformer as well. 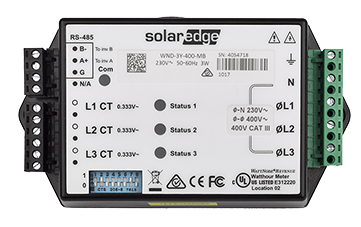 The SolarEdge S0 meter adapter cable allows the connection of a meter with an S0 interface to a SolarEdge inverter or Commercial Gateway.